I am intrigued by the technical wizardry of life today, and how that is transferring into interactive art, but I respond most strongly to simple, everyday, natural occurrences. I enjoy the dancing rhythms of sunlight reflecting across water, the floating mist of sand blowing across a beach, filtered light falling onto surfaces as it passes through clouds, and the (sometimes intense) movement between light and shade which defines objects in different ways at different times. I enjoy colour too, but it is an instinctive and primitive response to contrast and movement that drives my work. My first degree was in 3D design and my work on commercial interior design projects focuses on how the quality of space can influence the way that people behave. 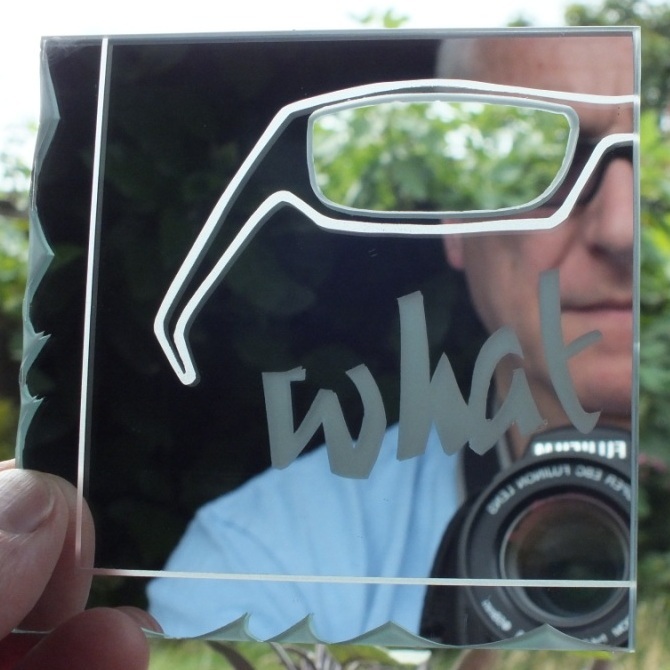 I have been aware for a long time of how glass can subtly influence space and experience, be it a hall of mirrors or a cathedral, so I suppose it was only a matter of time before I combined the two and I decided to become a student of glass in 2004. What a journey since then! In addition to Jon, Cathy and Lesley, I have met so many interesting and inspiring people through working with glass. I am particularly inspired by the work and visual games of Joost van Santen, James Carpenter and Jason Bruges Studio. Every glass artist will tell you what a complex, versatile and seductive material glass is to work with. The subtle, and sometimes unexpected, ways that it will allow or refuse manipulation. I’m hooked.